Batterystaple and Firehose Games are happy to announce Tuesday, September 15th 20XX is leaving alpha on Steam early access and headed into beta! 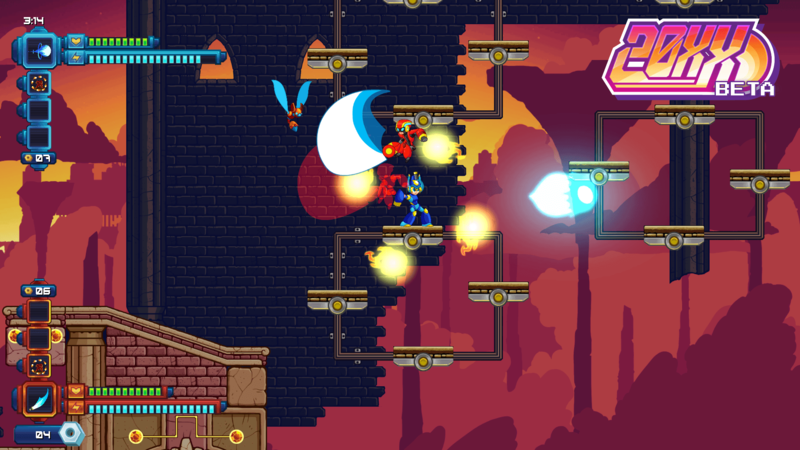 20XX is a game built to feel like Mega Man X, but with procedurally generated levels, random powerups, permanent death, and multiplayer. The game uses a procedural level generation algorithm that builds levels from a certain number of mechanics at a time; switching rapidly between playing like an action game and playing like a platformer, mixing precision jumping with fevered combat. Add in permadeath and over 100 powerups to find in between agonizing deaths and you’ve got hours of nail-biting jumping-and-shooting goodness on your hands. Also, 20XX features full co-op. Play with your buddy on the couch or over the interwebs.